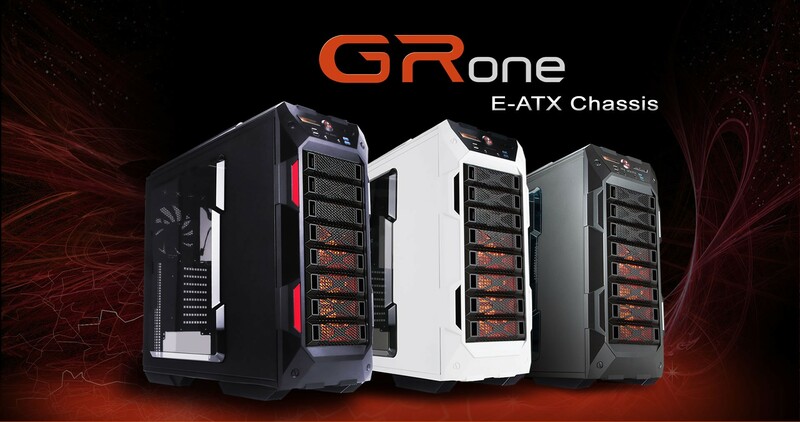 GRone features superb expandability inside and a large full-view window outside that reveals your building system and allows you to enjoy gaming presentations. 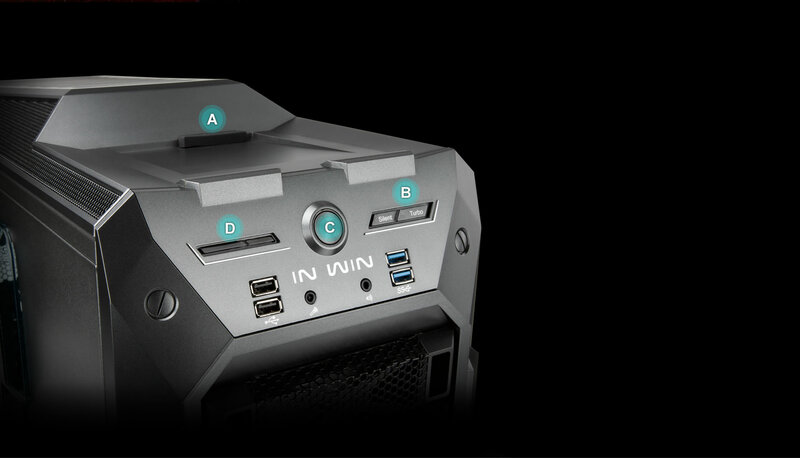 The tool-free mechanism minimizes hassles while installing optical drives by simply sliding the ODD into the place and pushing the fasteners to secure the optical drive. 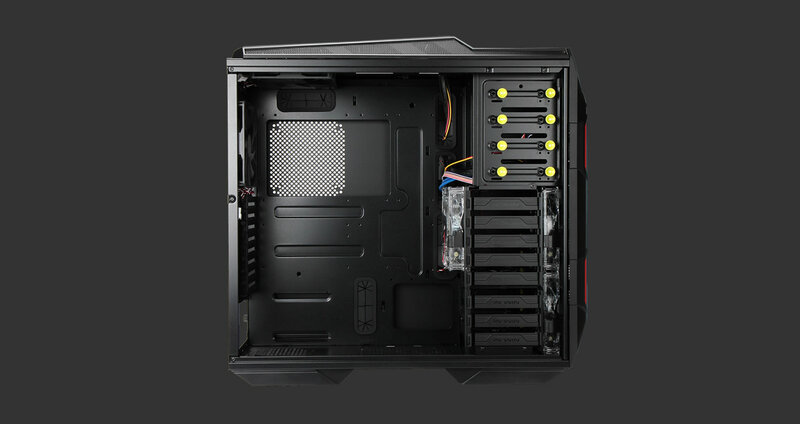 User friendly 3.5” drive installation design makes building-a-system as simple as possible. 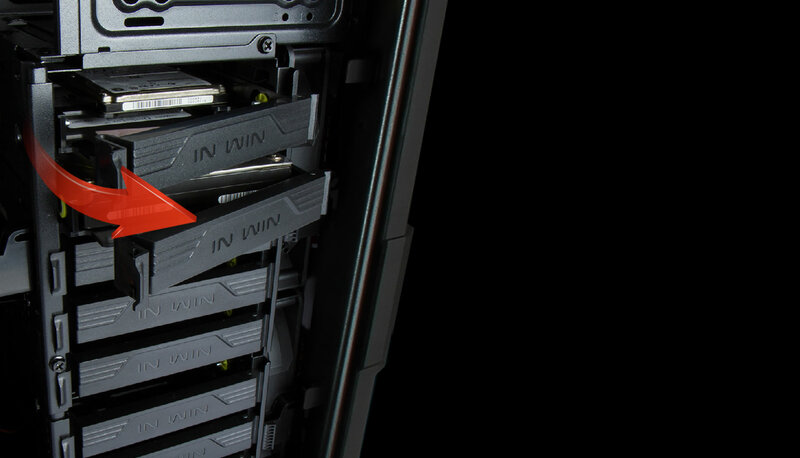 Secure the 3.5” HDD on the Tool-Free HDD tray and simply slide the tray into place and close the front cover to secure the 3.5” drives. 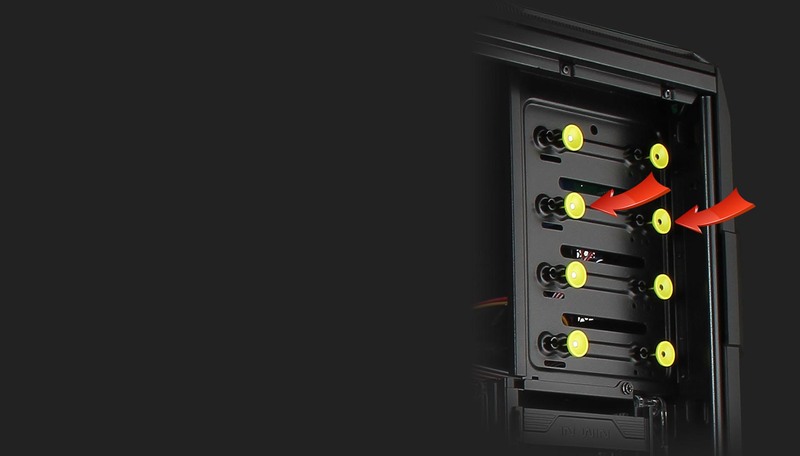 All the HDD trays are compatible with the newest 2.5” SSD/HDD. 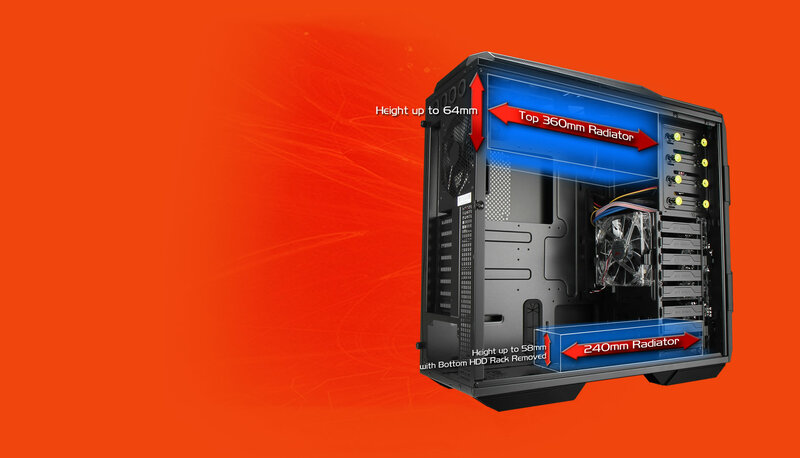 To enjoy better cooling performance and lower the noise, GRone can accommodate a top 360mm and a bottom 240mm liquid cooling radiator for maximum cooling solutions.  An efficient airflow design is crucial for heat dissipation and ventilation. 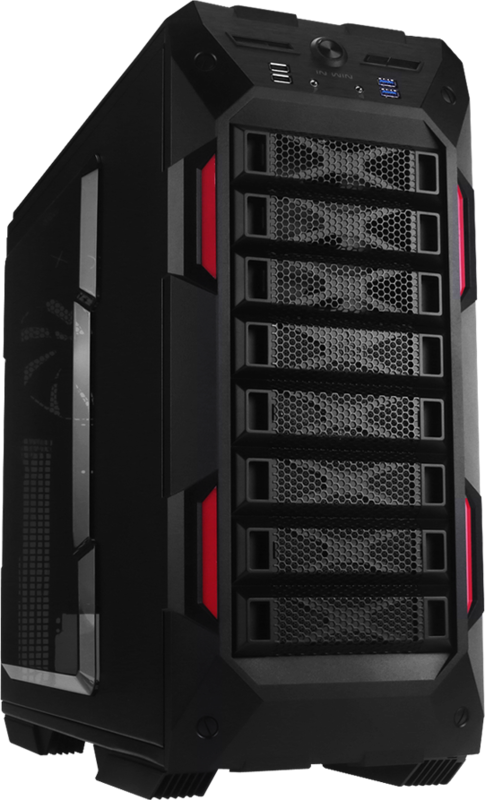 The chassis supports up to 10 fans to produce highly concentrated airflow and excellent cooling performances.